Patricia Barletta (Popular Fiction, W ’12) is thrilled to announce that her paranormal historical romance Moon Shadow, Book 2 of The Auriano Curse Series, was released over the summer. She worked on part of this manuscript while at Stonecoast. 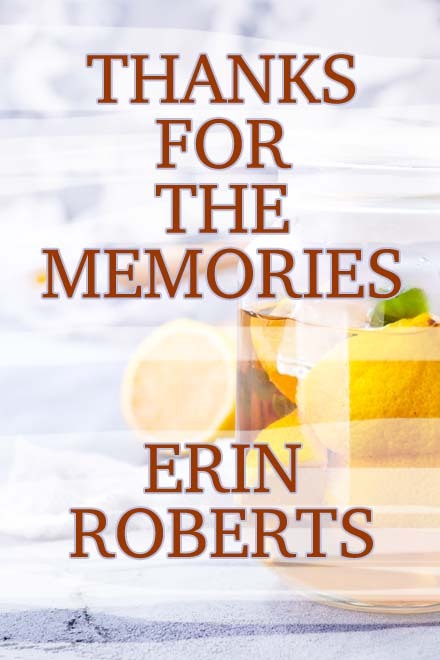 She has also signed a contract for a reprint of her first published book (horrible title to be changed), a historical romance set during the Regency period in England. 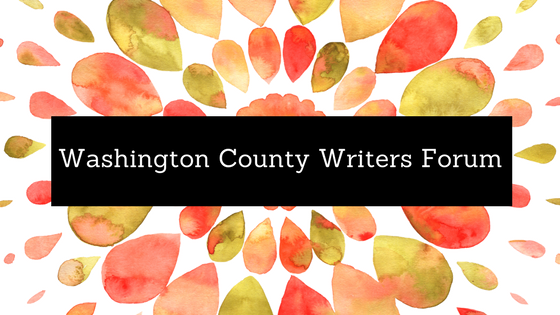 Elizabeth Beechwood (Popular Fiction, S’14) is pleased to announce the creation of the Washington County Writers Forum in Oregon. WCWF is a monthly forum for writers of all genres, ages, and experience levels to engage with writing professionals about a wide range of topics. The forum is held on the 1st Thursday of each month (February through December) at Insomnia Coffee Downtown Location at 317 E. Main Street, Hillsboro, OR, from 7:00-8:00 p.m.; admission is $5. WCWF is also an information hub promoting organizations, meetings, conferences and conventions, as well as learning opportunities in the Pacific Northwest that are of interest to writers in Washington County. If you live in the Portland, Oregon, area and are interested in presenting, please contact Elizabeth at ebeechwood@gmail.com or through the website contact page at www.washingtoncountywriters.com. If you have an event in the Pacific Northwest, please let her know so she can share it. Of course, you’re always welcome to attend a forum—no membership is required and all are welcome! Karen Bovenmyer (Popular Fiction, S’13) is proud to announce her novel Swift for the Sun earned an honorable mention in the 2017 Rainbow Awards. Karen recently narrated Sarah Goldman’s “Islands in the Dark” for Escape Pod. Karen’s book chapter “Shirley Jackson and the Fear of Ordinary People” will appear in McFarland Press’s forthcoming Horror Literature: Past and Present, edited by Nicholas Diak and Michele Brittany. Karen is also very much looking forward to seeing Stonecoasters at World Fantasy in San Antonio the first week of November where she will serve as a panelist and moderator on “Paging Doctor Tavener and Carnaki: Occult Detectives Old and Newly Reinvented” with Lisa Tuttle, Jess Nevins, Jaime Lee Moyer. Amy Burroughs (Creative Nonfiction, W’16) has a “Notable Essay” listed in Best American Essays 2017. Her essay “Two Strangers on a Train” was published last year in Jabberwock Review. 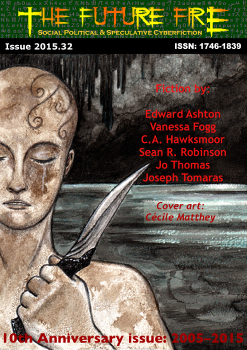 J.R. Dawson (Popular Fiction, S’16) has a new short story in the November/December issue of The Magazine of Fantasy and Science Fiction. “Marley and Marley” was written for her very last packet at Stonecoast. 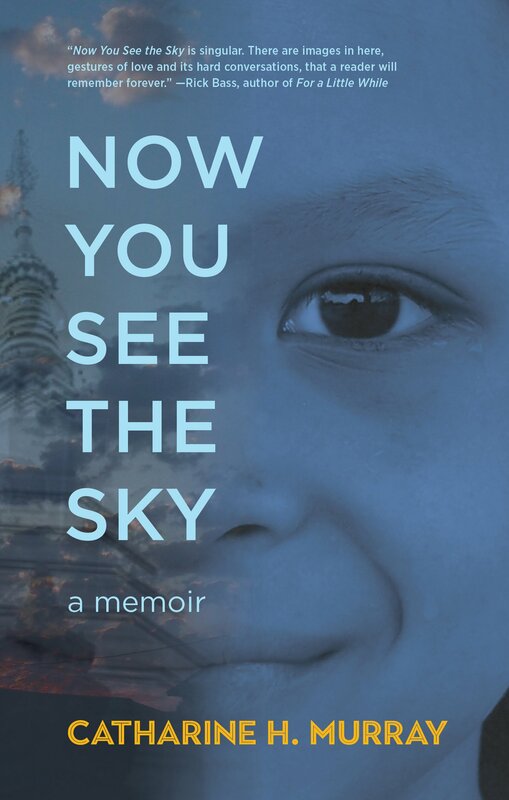 Julie C. Day (Popular Fiction, S’12) will be featured in an event hosted by the Gallery Of Readers Sunday, November 19th, 4:00 p.m., at Smith College, Seelye Hall 106, Northampton, MA. This reading is celebration of Liz George’s new collection, Glass Teepee. In addition to Julie and Liz’s readings, the artist and illustrator Adell Donaghue will present a selection of her work. The event is free and open to the public. 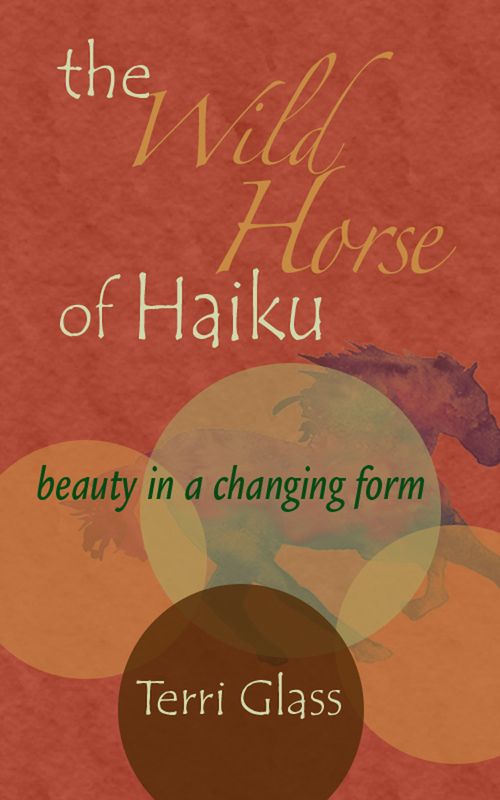 Terri Glass’s (Poetry & Creative Nonfiction, S’13) e-book The Wild Horse of Haiku: beauty in a changing form is now available on www.amazon.com to purchase. This book is a comprehensive look at the history of haiku and the changes it has undergone since traveling to the West. This is for anyone interested in understanding the breadth of this short form and how it can be a springboard for experimentation in creative writing. A city of cute coffee shops, leftover hippies, hybrid cars, indie bookstores, and craft breweries. A city, above all, that values education. Jim Harrow has been an Ann Arbor cop for fifteen years. He mostly handles things like stolen cars and fratboy fights, giving him time to coach high school wrestling and help raise his teenage daughters. But things take a deadly turn the night after the Michigan–Michigan State football game, when a house party ends in a fire. Its single victim is a graduate student with no job, no friends, and no research. What was Sanders Bolgim working on, and why would someone want to kill him for it? Nothing about the case makes sense, and as Jim traces the events leading to the fire, he uncovers a shady party company, dark money buying for-profit charter schools, and a string of murders stretching back years. In a town where money and education are always in each other’s pockets, someone is paying a killer to teach the ultimate lesson. Kass’ debut novel is an astute commentary on the darker side of education reform wrapped in a gripping adventure. 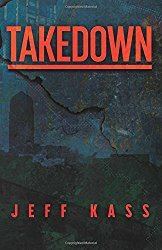 Filled with authentic characters, a strong voice, and the perfect portrait of a Midwest college town, Takedown is as sharp and crisp as a football Saturday. Mary Heather Noble (Creative Nonfiction, W’ 14) is pleased to share that her essay “Variations on Green” is featured in the Political Landscapes issue of About Place Journal. Her essay “Disguise” was also published in the Halloween-themed issue of Barrelhouse. Ellie O’Leary’s (Poetry, W’17) short story “Annie Doesn’t Get It” appears in the next issue of Boomer Lit Mag. Suri Parmar‘s (Popular Fiction, W’17) short story “Merrow” has been published in issue 46 of Crannóg magazine. 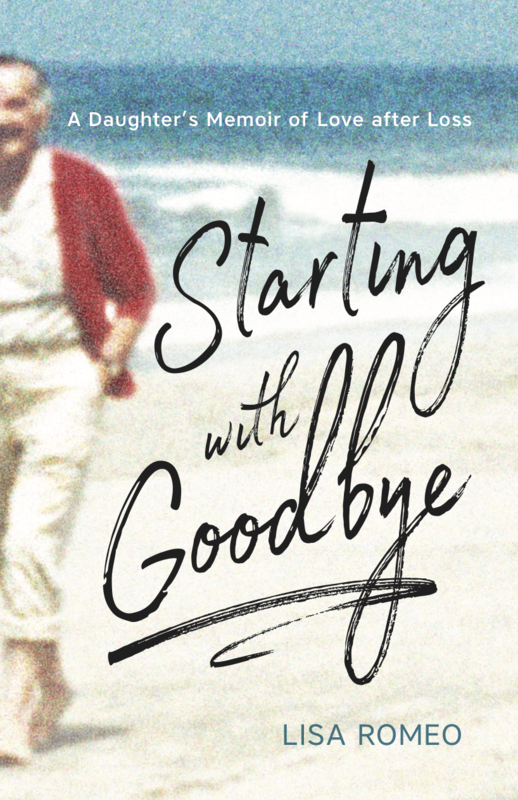 Lisa Romeo (Creative Nonfiction, S’08) is pleased to reveal the cover of her memoir, Starting with Goodbye: A Daughter’s Memoir of Love after Loss (University of Nevada Press, May 2018). An Elder Man, the new short film by Jacob Strunk (Fiction, W ’07) starring The Monster Squad’s Ryan Lambert, continues its festival run November 17th with another Pacific Northwest screening at the Killer Valley Horror Film Festival in Ashland, Oregon. Jacob will be in attendance for a Q&A and post-film drinks with whoever’s buying. Screening info is here. Bonnie Jo Stufflebeam‘s (Popular Fiction, S’13) The Magicians flash fiction, which won SyFy/Wattpad’s #BattletheBeast contest, has been turned into a digital illustrated short; as a bonus, they used her likeness for the character she created. Watch all five chapters on the SyFy website. Her mythological flash fiction “Liars” appeared in Hobart. Her botanical horror story “The Black Thumb” appears in the anthology Road Kill: Texas Horror by Texas Writers Volume Two. Jeanne Marie Beaumont (Poetry) will be rounding out the first year of the release of Letters from Limbo by returning to her home town. On Saturday, November 10th, at 6:00 p.m., at the Big Blue Marble Bookstore in Philadelphia, she will be reading with former Stonecoast faculty member Baron Wormser, who is launching his new novel Tom o’ Vietnam. The bookstore is located at 551 Carpenter Lane in the Mt. Airy section of Philadelphia, PA.
Elizabeth Hand (Popular Fiction, Fiction) was a guest at Virginia’s Fall for the Book Festival, and also appeared at The Potter’s House in DC with JJ Amaworo Wilson. Her recent reviews include Philip Pullman’s La Belle Sauvage and Joe Hill’s Strange Weather for The Washington Post, and Amaworo Wilson’s Damnificadoes, Karin Tidbeck’s Amatka, and Josh Melerman’s Black Mad Wheel for The Magazine of Fantasy and Science Fiction, as well as an essay on novelist John Crowley for The Los Angeles Times. 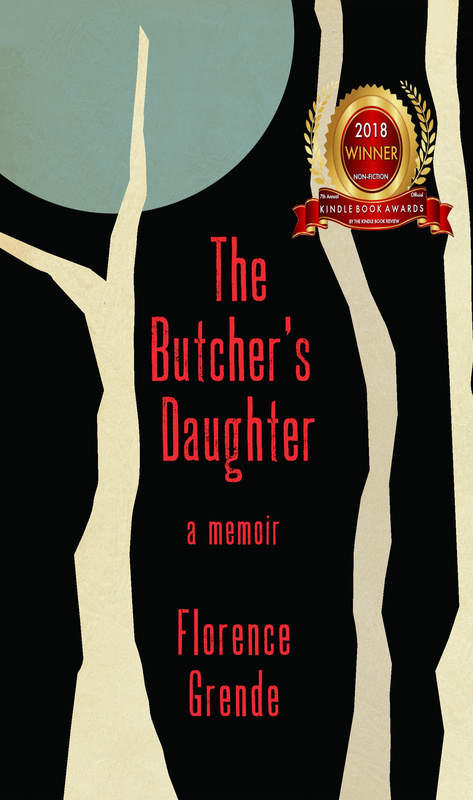 In November, she will be reading and speaking at Bard College as part of its Innovative Contemporary Fiction Series. Jim Kelly’s newest story “And No Torment Shall Touch Them” has been published in the current issue of Asimov’s Science Fiction Magazine, which also includes another installment of his regular column. In “Time Party” he offers some possible explanations of why we have yet to be overrun with tourists from the future. His freebie newsletter Strangeways has launched and subscribers continue to pour (trickle) in. “Stone Dove” by Elizabeth Beechwood (Popular Fiction, S’14) was featured in Crossed Genres. Stonecoast poetry alum Kathleen Cerveny (S ‘14) will be having her Farewell Poetry Reading as Poet Laureate of Cleveland Heights on Saturday, April 18th. Reading with her will be her Stonecoast mentor Jeanne Marie Beaumont (Poetry). The event will be held at 7:30 pm in the Heights Arts Gallery at 2175 Lee Road, Cleveland Heights, OH. If any Stonecoasters are in the area, it would be great to see you; more information can be found here. Terri Glass’s (Poetry/Creative Nonfiction, S’13) two poems “Sea Stars” and “Wind Turbines of Altamont Pass” have been accepted for publication in the next issue of About Place journal. The theme: primal paradox. 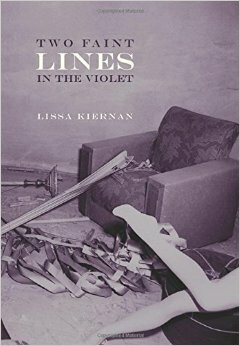 Two Faint Lines in the Violet (Negative Capability Press) by Lissa Kiernan (Poetry, S11) is a Foreword Reviews‘ 2014 INDIEFAB Book of the Year Award Finalist. Jeanette Lynes (Poetry/Fiction, ’05) co-edited a book, Where the Nights are Twice as Long: Love Letters of Canadian Poets, with David Eso. 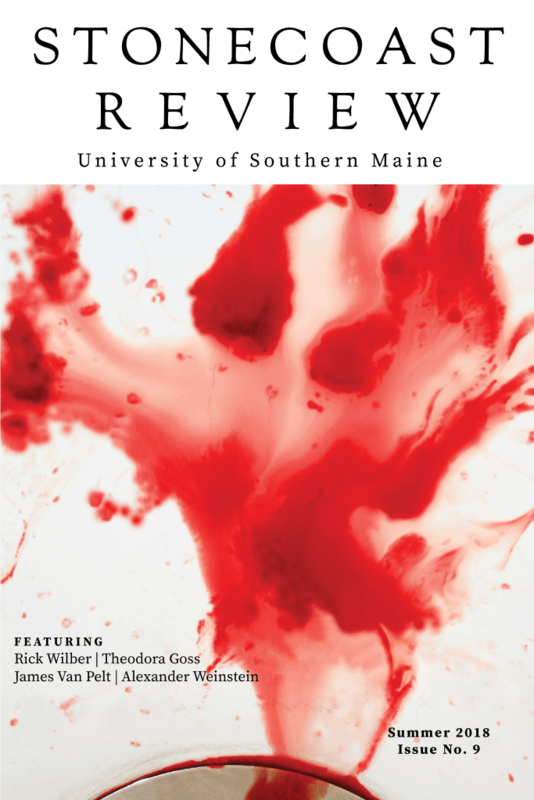 The book, featuring over 100 poets, was published this February by Goose Lane Editions. Alexandra Oliver (Poetry, W’12) is currently celebrating (with co-editor Annie Finch) the release of Measure for Measure, a new Everyman/Random House anthology of poetic meters. Order yours today! Alexandra will be reading as part of the Tree Series, one of Canada’s longest running literary events, in Ottawa on April 14th. Sean Robinson (Popular Fiction, W’14) is pleased to share two publications. “Rustsong” appeared in The Future Fire in March. Check it out. It has illustrations! His story (inspired at Stonecoast) “Beatification of the Second Fall” will appear in Apex Magazine on April 7th. “Not Quite Meet-Cute,” a nonfiction piece by Lisa Romeo (Creative Nonfiction, S’08), appears in the current issue of Blue Lyra Review. Lisa will be on a panel at the ASJA (American Society of Journalists and Authors) Conference in New York City on May 2. And in other very exciting news, she will be published in the upcoming print issue (#55) of Creative Nonfiction Magazine — well, 130 characters of hers will be anyway (a #CNFtweet). Damien Shuck‘s (Poetry, ’09) collection of poetry, The Drowning Room, will be released soon and preorder is available on Amazon or at New American Press. On April 6, Patricia Smith (Poetry, S’08) will officially receive the 2014 Rebekah Bobbitt Poetry Prize in a ceremony at the Library of Congress. The $10,00 prize is given to the author of the best poetry book published in the United States in the previous two years. 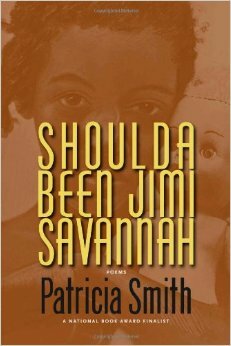 The book chosen was Shoulda Been Jimi Savannah, which also won the Lenore Marshall Poetry Prize from the Academy of American Poets. Kevin St. Jarre (Popular Fiction, S’10) is pleased to announce that his short story “Fishes and Time” was published in Story magazine in March 2015. Olive Sullivan’s (Poetry) latest poem, “Pin Oak,” is online as part of the “Where I Live” photo and poetry series by Silver Birch Press. 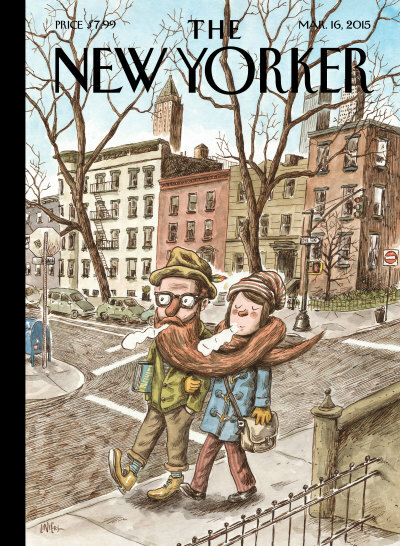 Sarah Braunstein‘s (Fiction, Writing for Social Change) short story “All You Have to Do” was published in the March 16 issue of The New Yorker. Aaron Hamburger‘s (Creative Nonfiction, Fiction, Popular Fiction) short story “The Secret of Mexican Wine Cookies” will appear this month in The Chicago Tribune, in their Printer’s Row literary journal. Also, Aaron will be teaching at the Peripatetic Writing Workshop in Woodstock, NY, this summer, a great way to gear up for Stonecoast! Elizabeth Hand (Fiction, Popular Fiction) will be the keynote speaker at Newman University’s sixteenth annual Literary Festival in Wichita, speaking on science and literature. This fall, she will join the faculty at Maine College of Art (MECA), teaching a class in fiction writing (she’ll continue at Stonecoast). Forthcoming reviews include new works by Kelly Link, Eleanor Arnason, and John Connolly, in her column for Fantasy and Science Fiction Magazine. 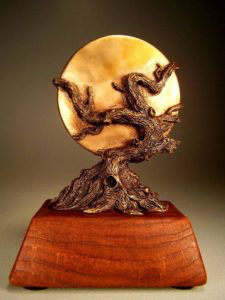 James Patrick Kelly’s (Popular Fiction) story “Someday” (also known as “The Little Story That Could”) has been selected for another Year’s Best collection, this one being The Year’s Best Science Fiction & Fantasy, 2015 Edition edited by Rich Horton from Prime Books. Originally published in Asimov’s Science Fiction May 2014, it has also been selected to be reprinted in The Best Science Fiction and Fantasy of the Year Volume 9, edited by Jonathan Strahan from Solaris Books, and The Year’s Best Science Fiction 32, edited by Gardner Dozois from St. Martin’s Press. 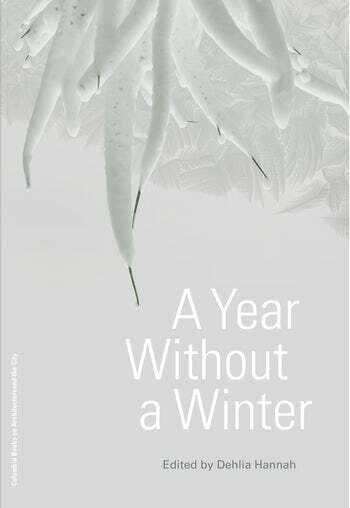 Those who were at the Winter 2015 residency may recall this story from Jim’s faculty reading. 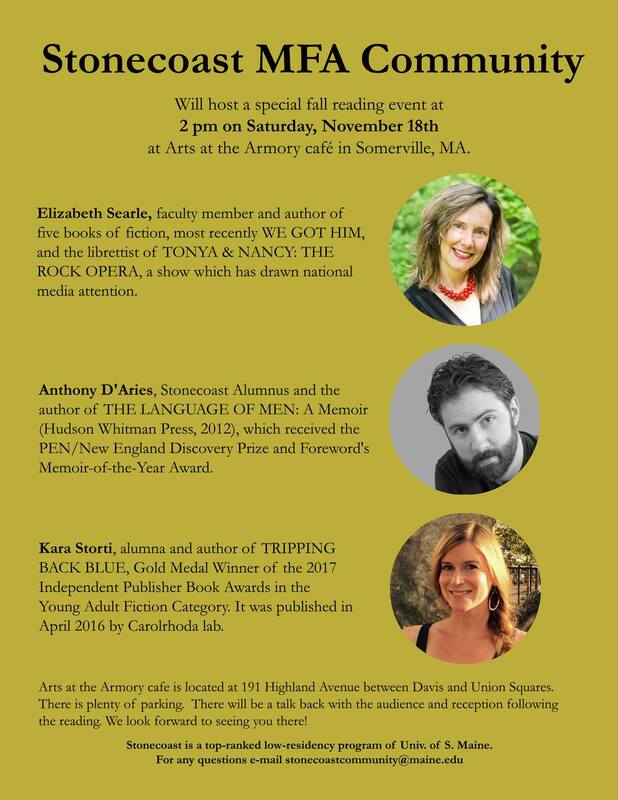 Elizabeth Searle (Fiction, Popular Fiction, Scriptwriting) will be performing in an event at AWP in Minneapolis on Friday April 10th, at 4:30 p.m. (along with SCers Suzanne Strempek Shea and alums Matthew Quinn Martin and Libby Cudmore). She will also be doing a seminar with author Lise Haines at the Boston Writers’ Conference, The Muse And The Marketplace, May 1-3. 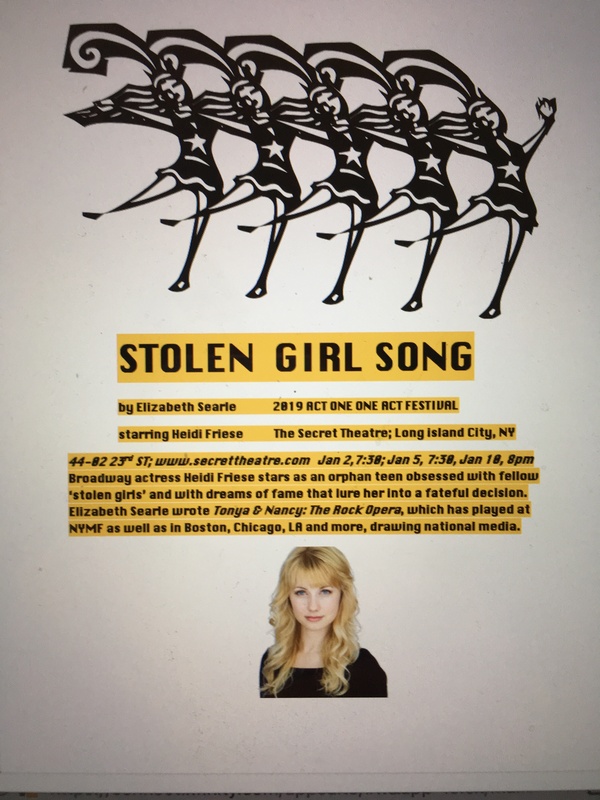 Elizabeth and Lise’s seminar is called “On Love And Safety, Violence And The Horrific.” In it, Elizabeth with read an excerpt from her upcoming novel, We Got Him (2016), which takes place the night of the Boston Marathon bombing manhunt. The seminar is Saturday, May 2nd. 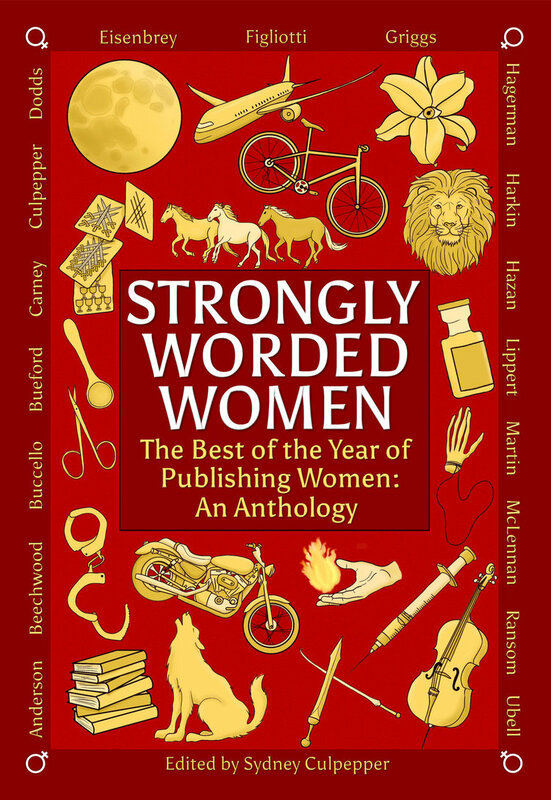 Along with Elizabeth, MUSE 2015 features authors Alice Hoffman, Jacquelyn Mitchard, Elinor Lipman, Anita Shreve, Steve Almond, and more, plus many prominent agents and editors. MUSE info may be found here.